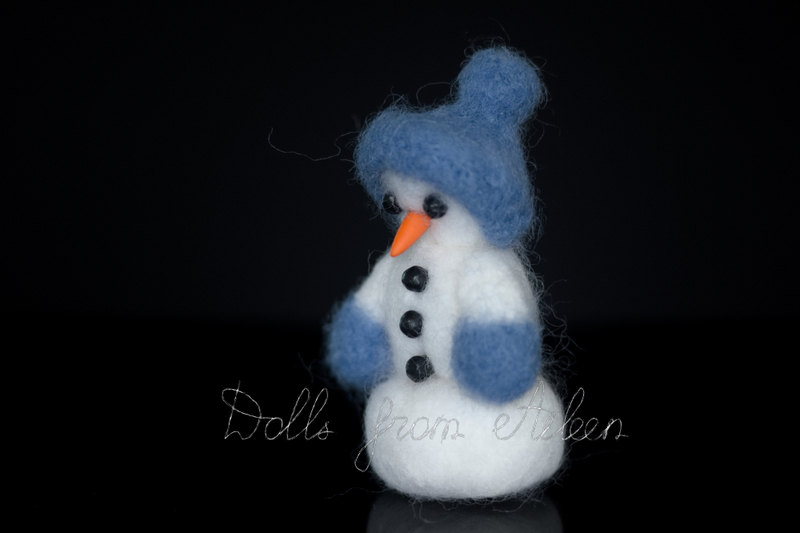 I have made this little snowman for the winter, if it ever comes. I have used wool with no armature or filler. To add realism the carrot nose and coal eyes/buttons are made of clay and painted with acrylic paints. They have been secured to the snowman with glue. He is 7.5cm tall. 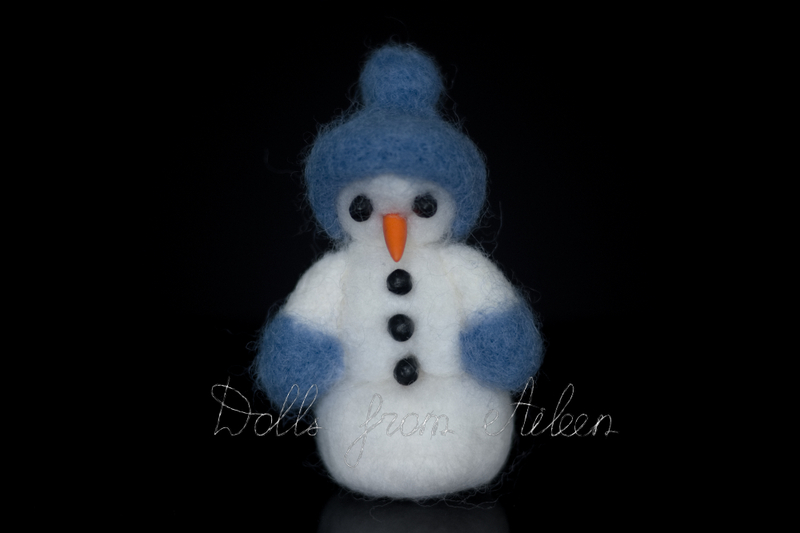 This little snowman is naive and bewildered in character. He needs a warm and safe place to call home. It will be alright for him because he will not melt, unlike the winter snow. 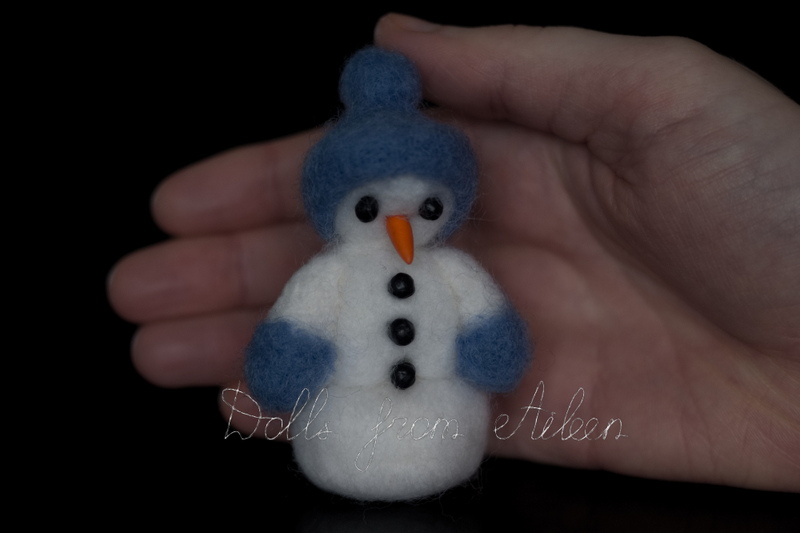 Little Snowman is 7.5cm tall (including the hat). Please note: my felted figures are not intended for children.